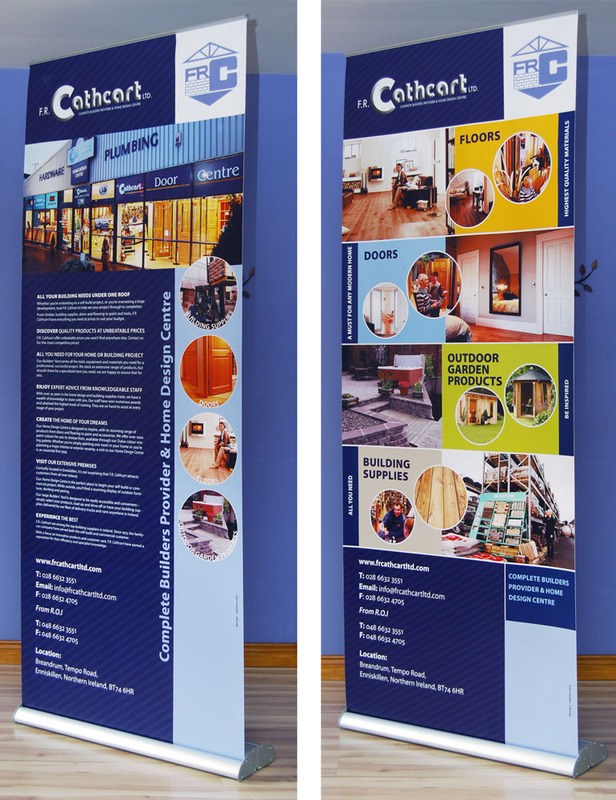 Enniskillen based building supplier FR Cathcart commissioned veetoo to provide graphic design services and create free standing POP displays that would take their marketing collateral away from the generic and allow it to better compete with the marketing collateral of their major competitors and peers in both the UK and Ireland. 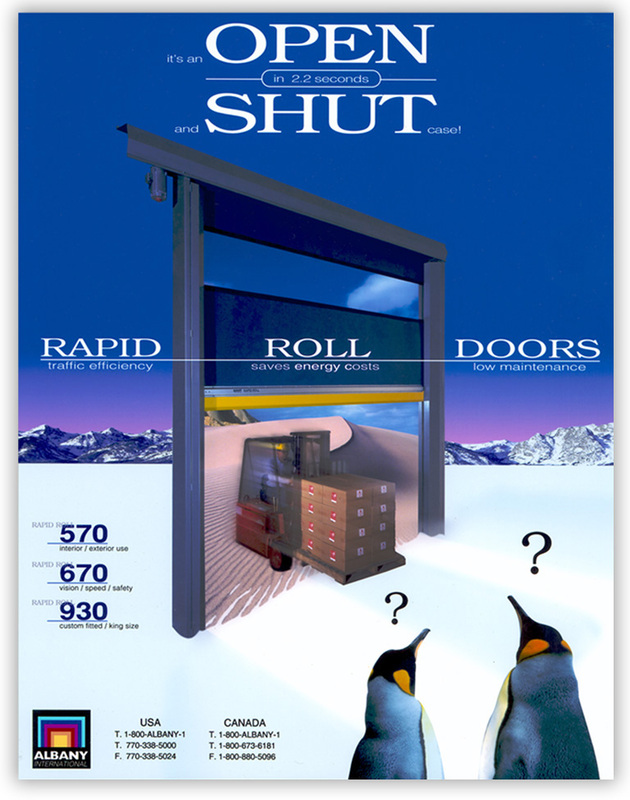 Graphic design was also driven by the need for the POP display stands to attract and engage the viewer from some distance away, prompting visitors at local and national trade exhibitions, as well as within the client’s large showroom, to want to know more. 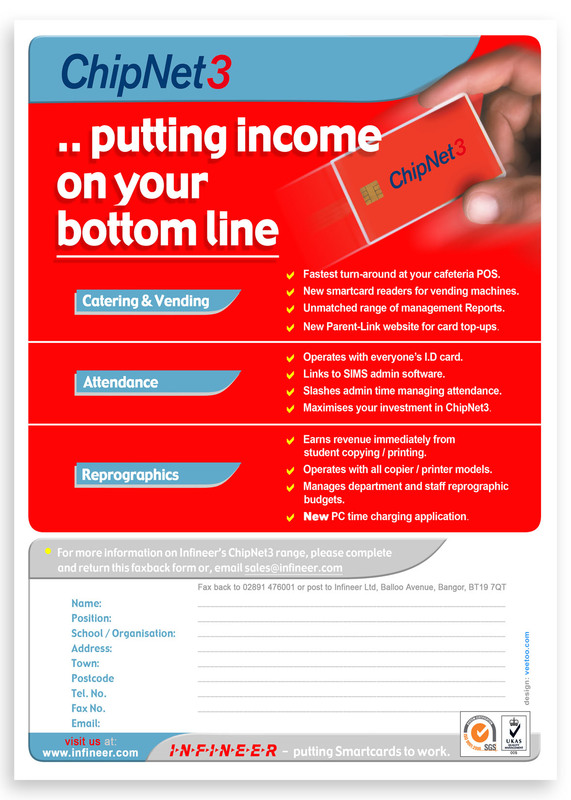 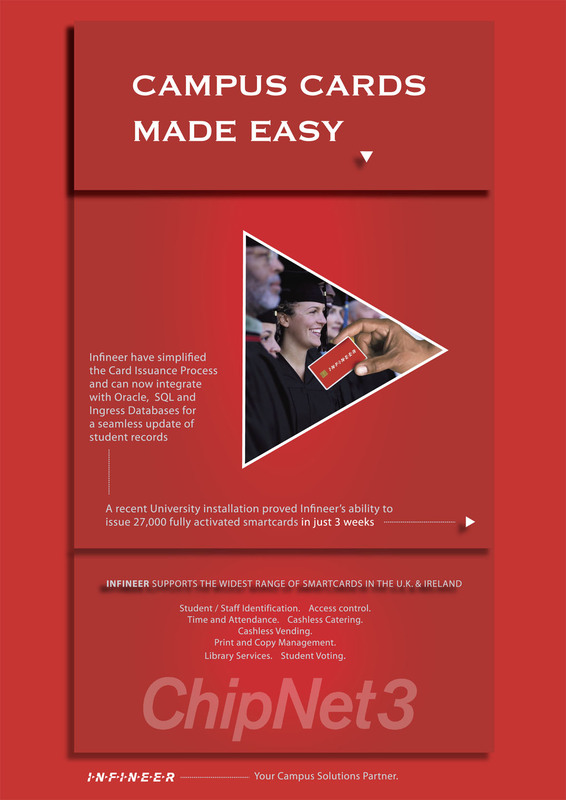 The POP display designs, along with the brochure collateral we created, resulted in a quantifiable increase in new business from the clients target audience. Scroll down this page to see large scale artworks, and photographs of the free standing POP displays. 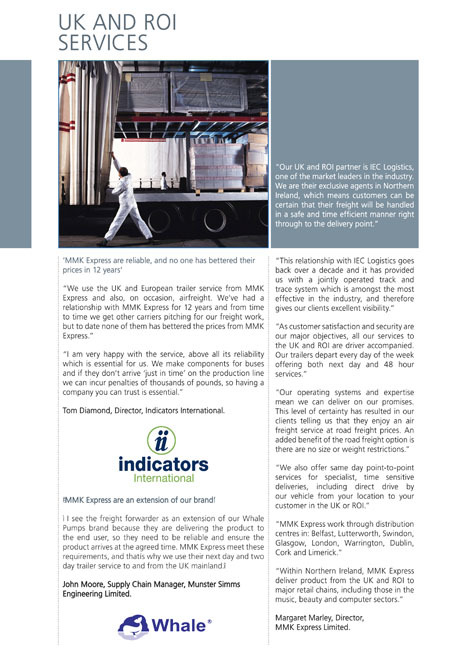 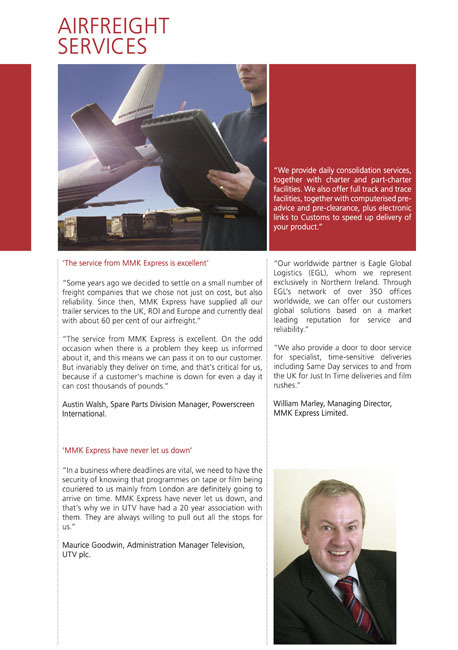 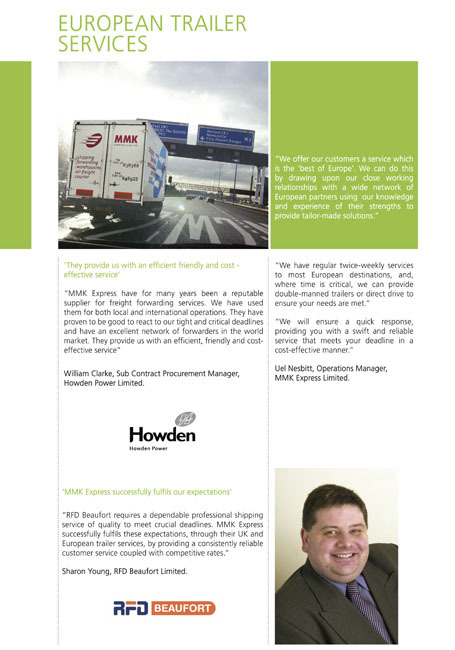 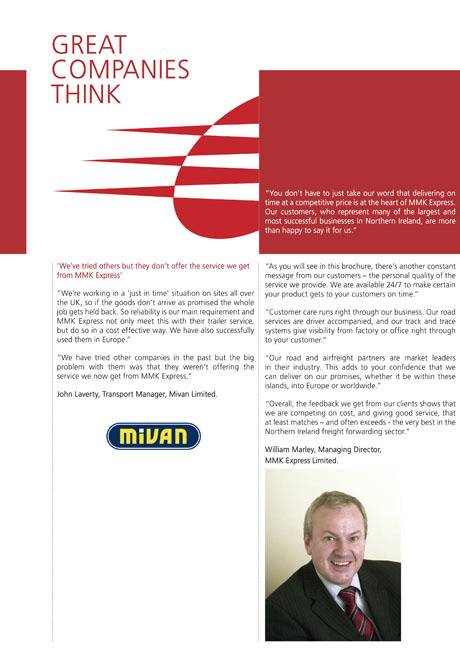 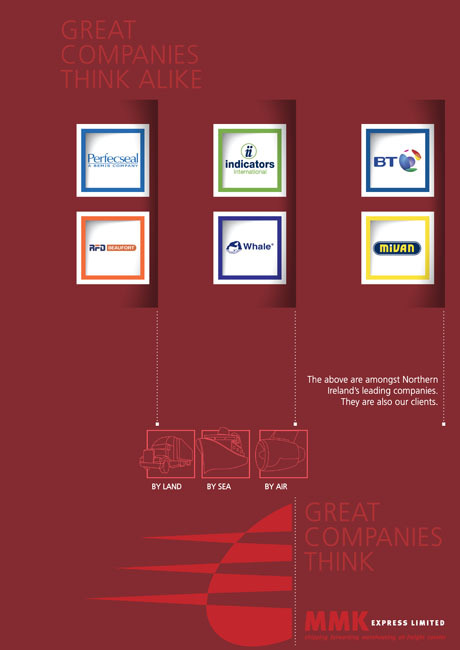 Northern Ireland based freight forwarding company MMK Express, in Newtownabbey, commissioned veetoo to develop a marketing solution encompassing graphic design and website development that would put the client’s marketing collateral on a par with that of their competitors, and better position them to compete for tenders from national and internationally trading clients. 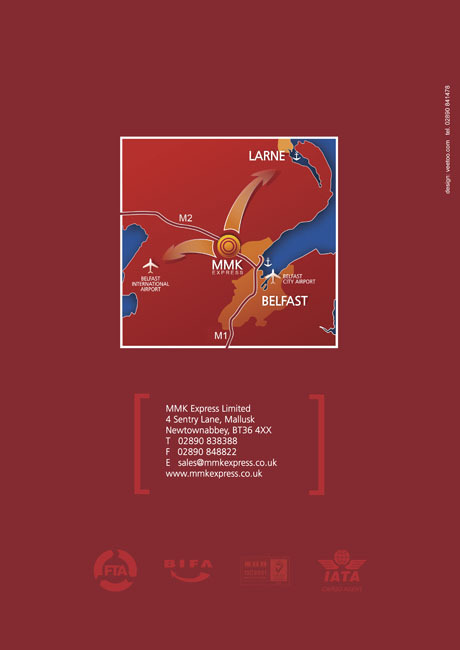 Driven by stylised industry related illustrations, veetoo conceived and designed marketing collateral that used customer testimonials to support and validate the clients service offerings, and that was supported by the corporate identity of some MMK Express clients – allowing emotional engagement from both the MMK Express corporate identity and brochure design, and backed up by the instantly recognisable corporate identities of the freight fowarder’s high end customer base. 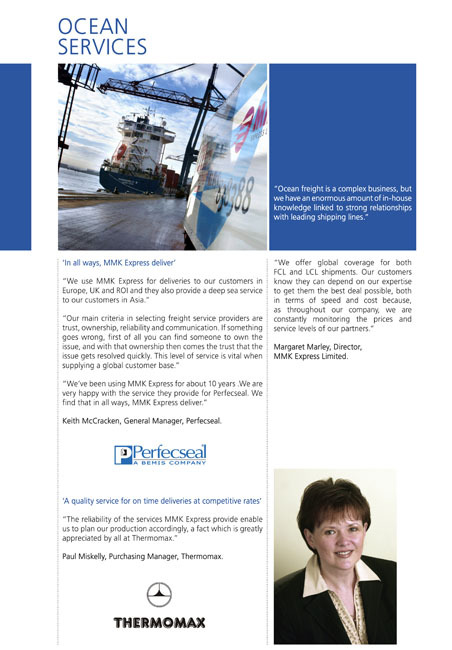 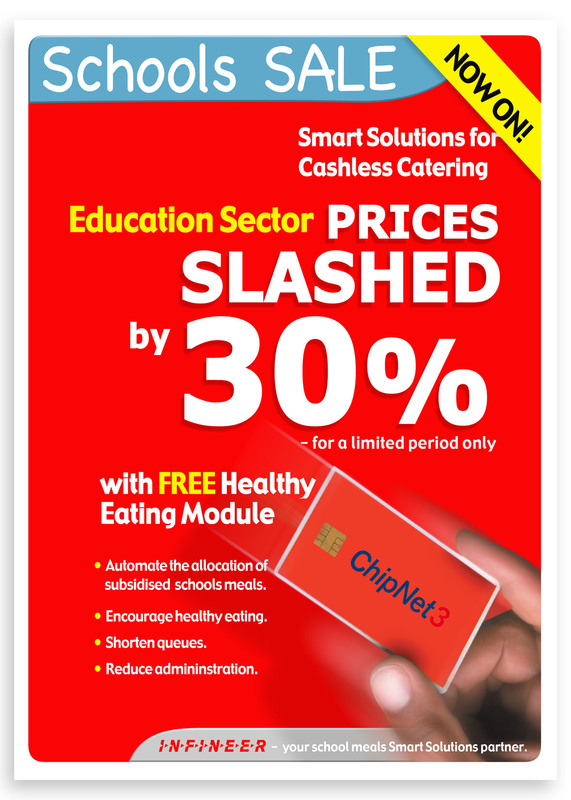 Our designs allowed the client to successfully use the brochures as handouts from their sales and marketing department at pitch and trade show meetings and as mail shots – resulting in an increase in turnover and contracts for new and ongoing business for MMK Express from their expanding local, national and multinational client base . 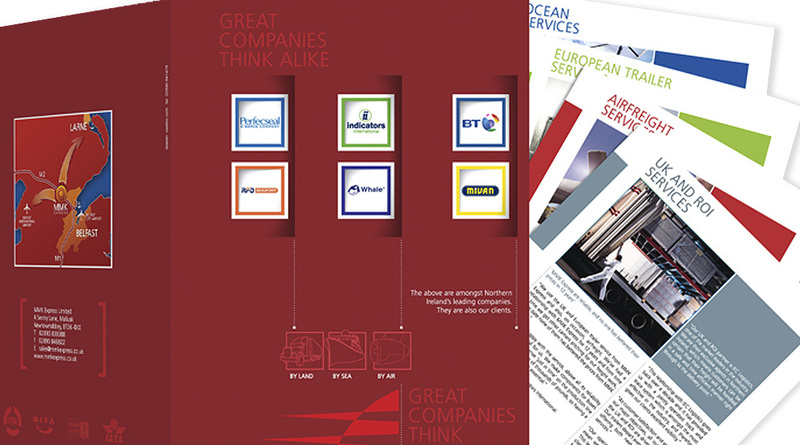 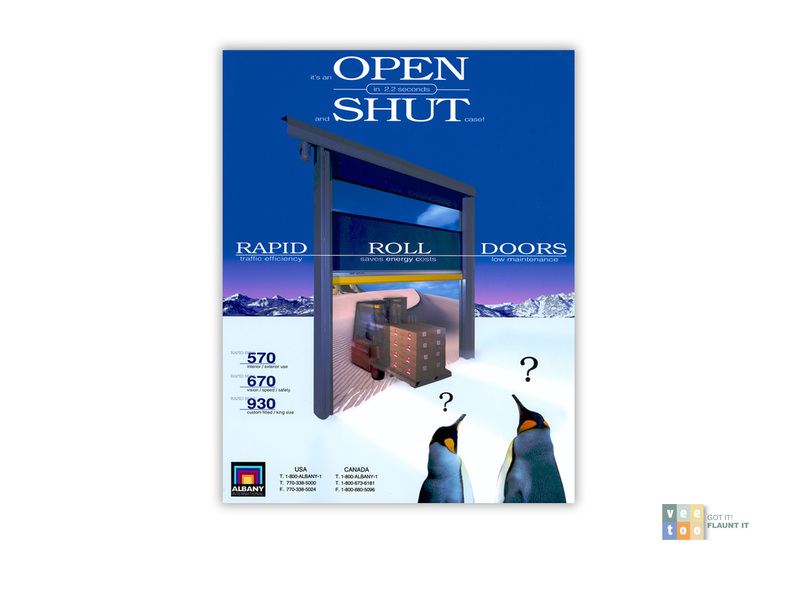 Scroll down this page to see the large examples of our print collateral graphic designs.